Addressing in the national executive meeting PM Modi appealed to the Party workers to confirm the winning in the forth coming assembly election in 5 states. PM Modi said in the meeting to the party leaders that they should not pressurize for the giving of Party tickets to their kins in the election. He added, “if the Party thinks fit to do so the ticket will be allotted." Every worker has to work in the election and will have to confirm the win in the five states. Mr. Ravi Shankar Prasad, Union Minister and senior leader in BJP informed the salient points of speech given by PM Modi in the executive Council. He spoke to the media, "PM Modi has said that the BJP is a party which has a strong support of its party workers; and there are many persons who are familiar with the reality and truth in the party, according to Mr Prasad. Speaking about the benefit of currency ban, PM Modi has said, ' the inflation of currencies is the root cause of corruption; the undeclared wealth is boost up by the currency in cash. PM Modi said," the poor had ratified it with warm heart that the decision of currency ban would be a proof to eradicate the adverse effect of corruption. Having accepted the difficulties for the last few days, the people of Country faced it. PM Modi said that we looked the social power of India in the last two months the poor and poverty is not the source of our election winning, but it is a chance us to serve them; the serving of poor's the service of God. PM Modi said, "I took birth in poverty and have lived in poverty. some people think about the style, but our Government is very much careful for the poor's living standard." PM Modi said that our Government will empower to poor. Whatever we have done for the poor will have to make its access at the booth level. 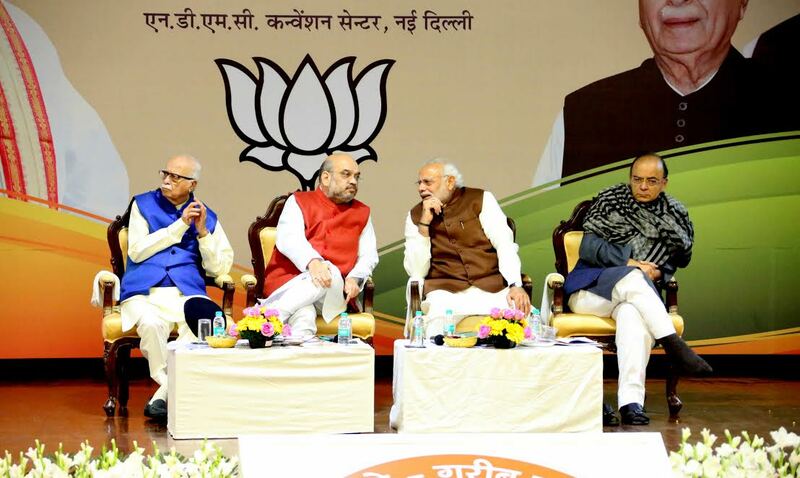 PM has said the party leaders that the position of the elections is better in the favour of BJP. The party workers must work effectively at booth level; welcome the criticism, and should not be afraid of allegations. The truth and the resolution inside us will carry in the direction of goodness. Ravi Shankar Prashad said that the political parties should have transparency in the donation received by party and the BJP ratifies it. PM Modi said in the executive council by stressing about the transparency in the political funding. Mr Arun Jaitly submitted the economy proposal on demonetization. He focused on the benefit of it in the economic proposal. Jaitly said that the intention of demonetization was to prevent the corruption and black money. We have fulfilled the promise which we had made before the people during the general election in 2014. He said, "the government had the intention to smite the fake currencies and terrorists’s lifeline; consequently they were defeated." “The surgical strike and demonetization were a historical step”, said Amit Shah in his Friday speech. It is clear that the BJP will go in fray with these issues including development in the coming election.